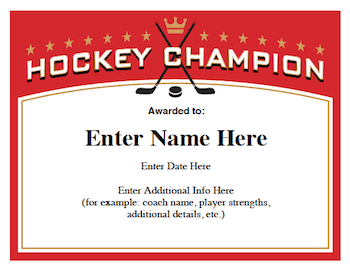 Cool hockey certificates templates for both boys and girls teams – recognize players, coaches and team parents. Simply, personalize, print and present. 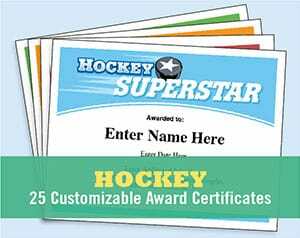 Choose from 20 different hockey certificates. When you purchase you’ll receive a PDF file that can be used on Mac’s or PC’s. 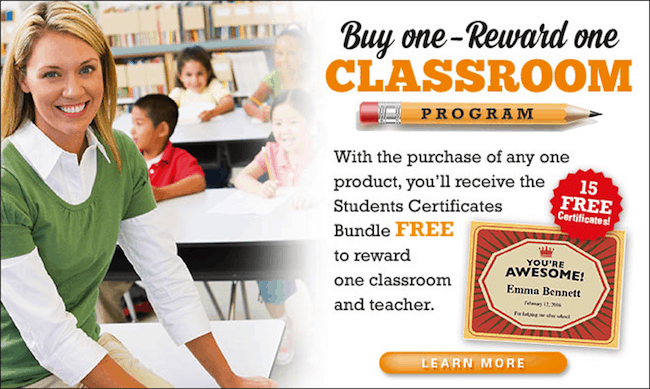 Use them year-after-year for multiple teams – it’s a great deal! 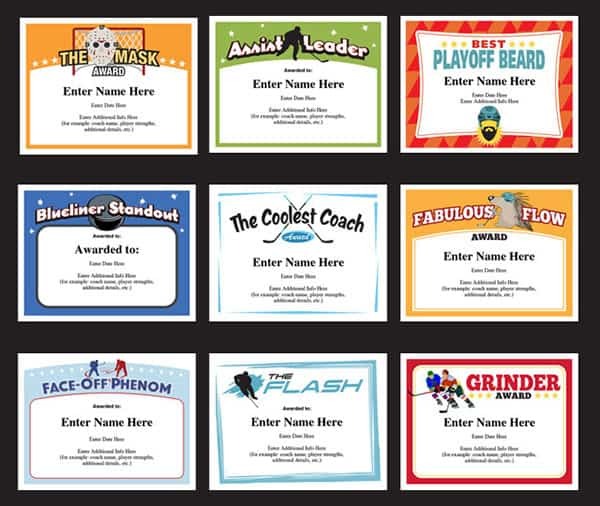 Personalize these hockey award certificates templates with players’ names, your team names, date, and your own words of praise. Designs are set to work on standard 8.5” x 11” paper. The polished way to leave a lasting impression on players. Some of these offbeat awards will create as many laughs and smiles as the more traditional award certificates. • Quick and easy to do. You just type in your text, print and you’re good to go. 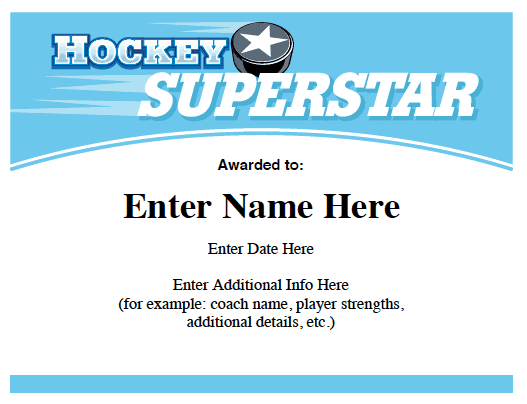 Ice hockey certificates in an instant. • Professionally designed. And, it shows! These hockey certificates of achievement look great! Give them out at the end of the season pizza party. Award them after the first tourney. Hand them out after a difficult loss to raise the team’s spirits. Have each player award one to another player. 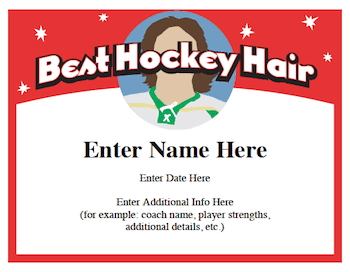 Purchase the Hockey Certificates, or any product from our store, and receive the Teachers Certificates Bundle FREE! 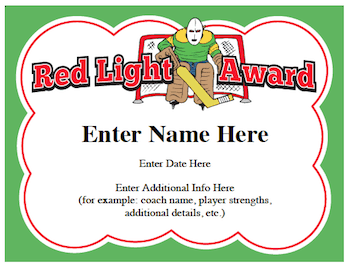 You might want to include some Hockey Quotes or some Hockey Slogans on your certificates. 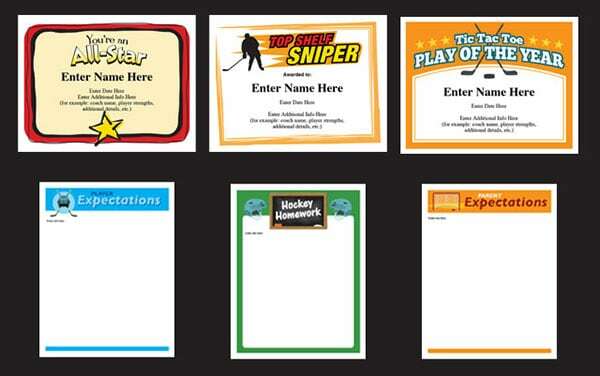 Lots of coaches and team parents use these hockey certificates templates at the season ending parties. 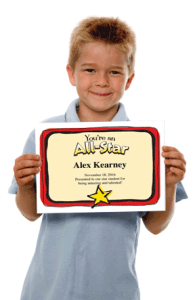 However, many choose to give these awards out throughout the year to keep players engaged. It’s your call. 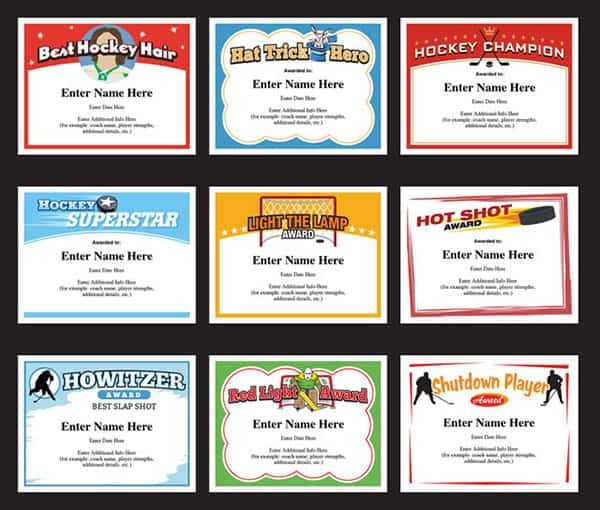 Let’s take a closer look at some of the hockey certificates options. Certificates designed for 8.5 by 11″ paper. Something for everyone: goalies, defense, front line and coaches.